“we haven’t officially released the suit yet, so you are very privileged”. As he spoke, the astonishing Amazonian standing on horseback, not 10 feet away from us, dropped her thick fur coat and revealed the gleaming new red and gold Wonder Woman costume. Immediately she was galloping towards a barbed wire fence, standing up on the horse’s back and jumping clear over it. She then howled a war cry as she approached the burning control tower. The pyro went off on cue and I saw my wife’s hand move to her stomach. “She’s loving it” my wife smiled at me. It was 10pm, at an undisclosed filming location in Oxfordshire and, in two hours time, our second child was due. We’d made a small bet with the crew: if the pyro sent my wife into labour then we’d be calling my daughter Diana Prince. 12 hours later, only 5 miles down the road, our very own little Amazon arrived to much fanfare but blessedly little pyro. The first 12 months of raising a daughter have been exciting, exhausting and eye opening. After her cinematic beginnings I’ve enjoyed imagining a bond between her and Diana of Themyscira. I regularly find myself watching the depressing reality of today’s news while holding a babbling, smiling cutie, and wondering how best to instill honour, courage, and peaceful virtues in her. I see the way she has developed this past year and how her unique personality has come to the fore. 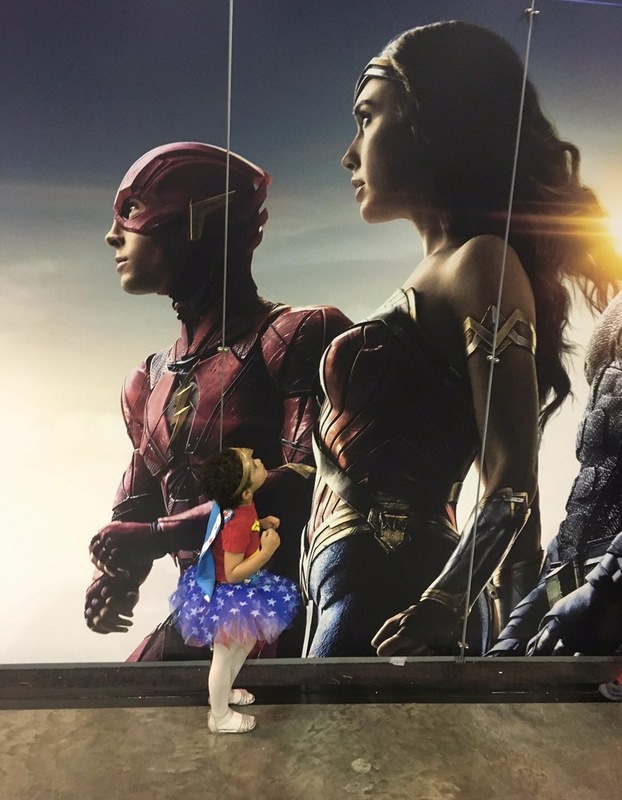 I see a little girl who is fearless and hysterical. Who, unhendered by her lack of vocabulary, is happy to direct play and order her adults around. She shrieks in frustration if you don’t feed her fast enough and squeals in delight at pretty much any game her brother plays with her. Is she Wonder Woman; a warrior princess discovering the ways of a new and strange world? Or is she Harley Quinn; an intelligent former criminal-psychologist and life partner of the Joker bent on maniacal and seemingly random destruction? At times she seems like she could be either. But then, maybe the beauty and allure of women is that they all have a little Diana and a little Harley in each them. I’ve thought the same about my son. Maybe it’s parental bias speaking but I feel that both my kids are very shrewd and gifted operators. I’m just not convinced they’ve settled on using their powers for good or for evil yet. To strive to be more of a Jonathan and Martha Kent than a Lex Luthor Sr.
Next PostWhat will you do? You are merely men!